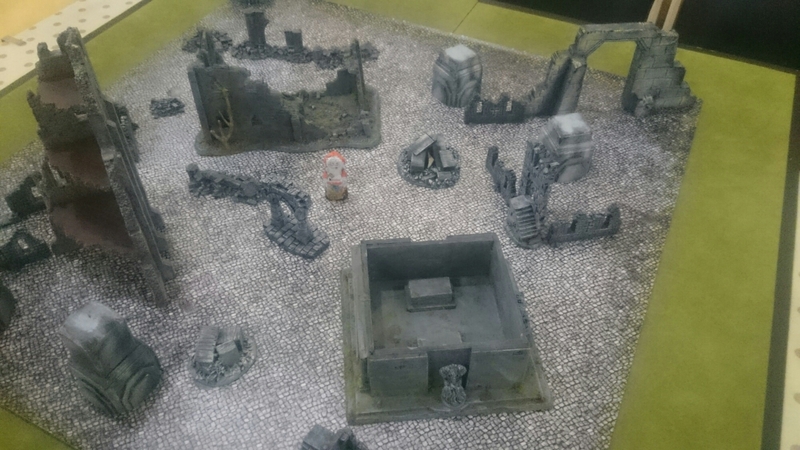 So today saw an historic event, The Aftermath Winter Open Day. 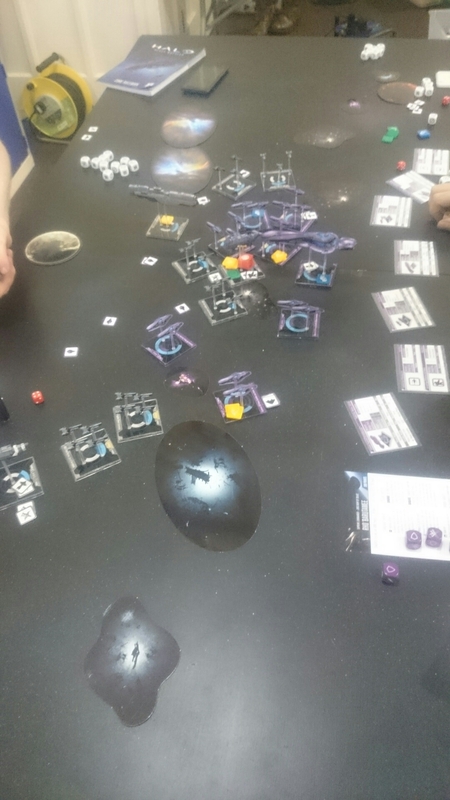 The event which had a decent turn out, and retailer support from Wyldstorm Games, had quite a few big draws. 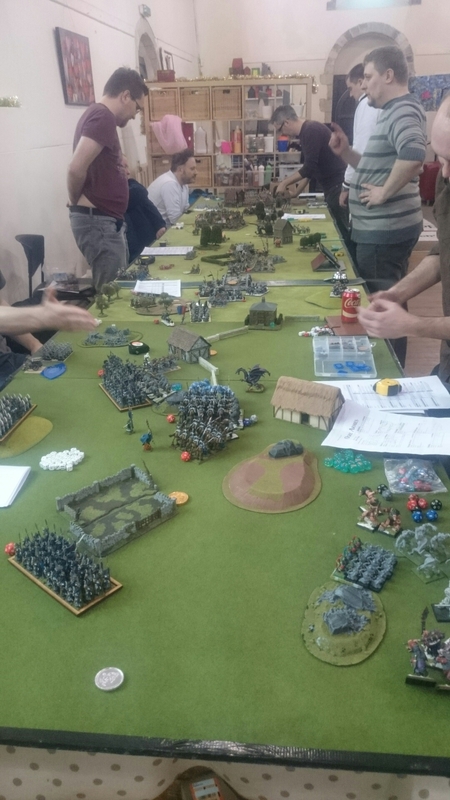 Kings of War on a massive 18 foot long table. 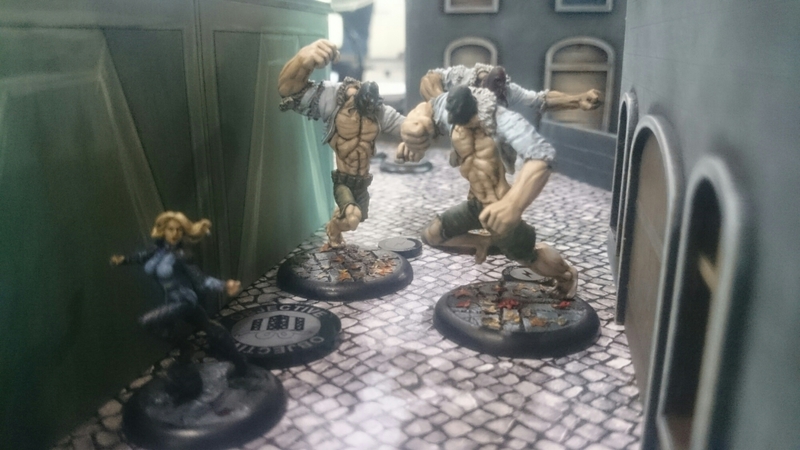 The forces of evil triumphed, which fuels my desire to not be the good guys any more. 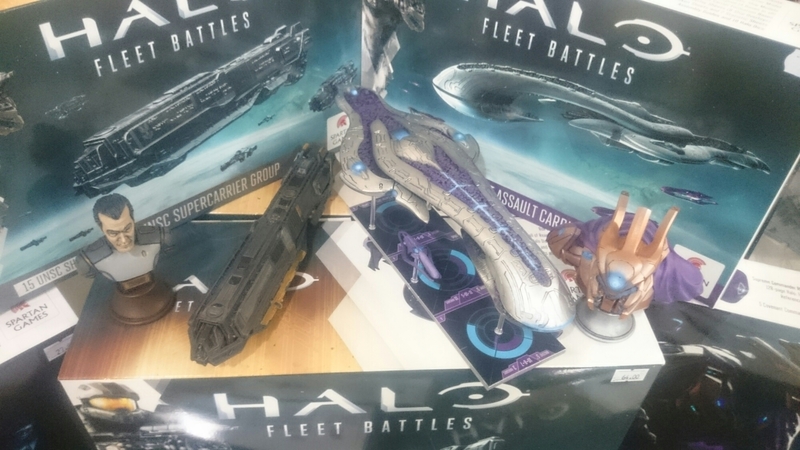 Halo Demos where on hand with the super carriers on display. 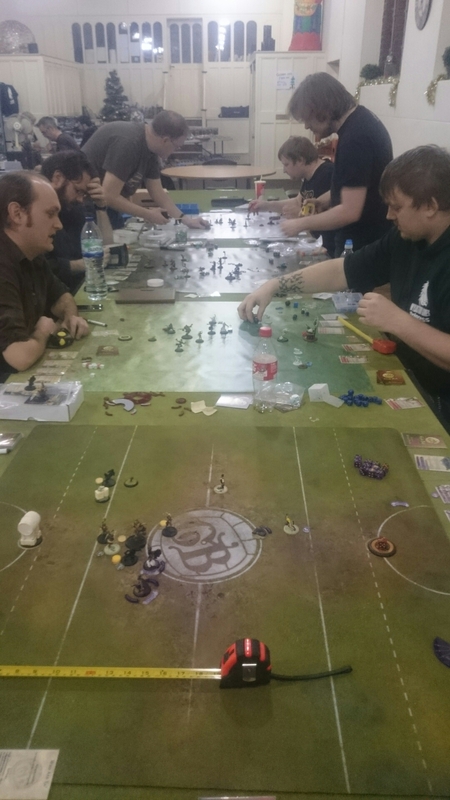 An eight man guild ball tournament was ran by, and lost by, the local Pundit. Apparently the Pundit was there just to ensure the buy player didn’t get bored! In an enjoyable scenario written by the organiser. 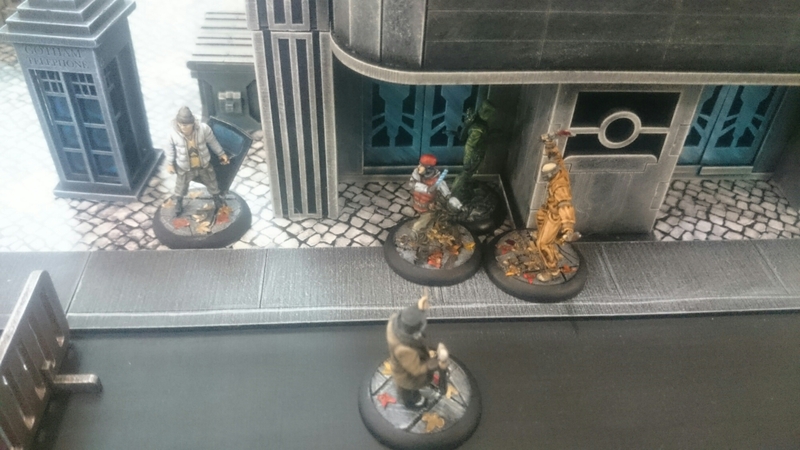 And I finally got my first game off Batman, more on this later, but my hero naffed up the security code then got pummelled and a lowly rookie cop saved the day at the end off turn six to unlock the door. I think I lost on VP but overall I came second on the day so got a prize for that and also for running off with the Penguins Christmas presents. The guy in orange was to all intents and purposes the bane of everyone’s day. Needless to say it’s now getting on a little so I will write a bit more over the next few days. We did start the fire!